Bedford, Freeman & Worth Publishing Group (BFW) is a confederation of three publishing houses (Bedford/St. Martin's, W.H. Freeman & Co, and Worth Publishers). Each boasts in its portfolio a number of landmark textbooks as well as innovative electronic and multimedia products. Each is known throughout the educational publishing world for superior text development and production. BFW sought a way to improve processes and technology for the production, management, and delivery of content in the confederation's collective portfolio. DPCI collaborated with BFW in order to devise a 2-year technology roadmap that could maximize the existing technology infrastructure investments. This roadmap synthesized several disconnected technology initiatives into a combined global project allowing for the reallocation of resources. The result was time and money saved. BFW had made a previous investment in Documentum Enterprise Content Management system. After an initial attempt to implement the Documentum platform, management realized that it needed to more fully utilize the capabilities of that technology. BFW selected DPCI to help the company realize its technology goals. Following a new design phase and implementation of the existing system, BFW now has the necessary components installed, configured and available to support external users across the globe. DPCI engineers mentored the BFW team on best-practices with the Documentum platform. Now BFW has the necessary internal resources needed to help shape Documentum to the ever-growing needs of the company. 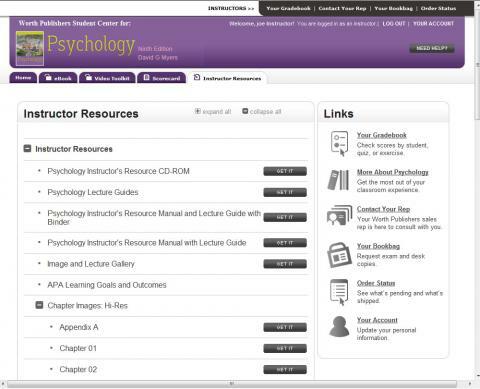 The DPCI project team also developed a set of Web-services that enables educators and students to select supplemental information to complement the textbooks used for classroom study. The team configured the XML content stored in Documentum so that it can be organized as needed and delivered in varied formats on demand. This solution of Documentum and Web-services enables BFW to build as many delivery channels as required to support a wide variety of disciplines without starting anew with every channel. This, combined with the native workflow capabilities of Documentum, assists BFW to create, modify and track all content delivered to their customers. Using Documentum, BFW staff members now have a superior toolset to meet the company's text development, production and delivery goals. DPCI: Implementing best-of-breed enterprise content management systems for textbook publishing companies.